One of the mid-tier lenders and retail banking major in Nigeria, FCMB Plc said it is looking at starting up a retail operation in the United Kingdom. FCMB was very active in corporate and commercial banking but the bank has garnered a bogus portfolio of non-performing loans that have hurt its top line and bottom line. Ladi Balogun, the group chief executive officer of the medium lender said the bank will henceforth double down on retail banking as it seeks to reduce lending to recoup trapped funds. “We expect to see large repayments in the oil and gas sector this year. We agree that the (economy) will be improving but largely because of chunky paydowns, we don’t think we would be able to replace those quickly,” he told analysts. “We are pushing more in the area of retail banking,” he added. Ladi said the bank will be looking at getting a retail banking license in the UK by converting its wholesale banking operation in the country. Currently operating as FCMB UK, the bank is not expected to make immediate gains on the strategy but it is looking at benefitting from it in the medium term. There are reasonable indices for Ladi’s cautious optimism. 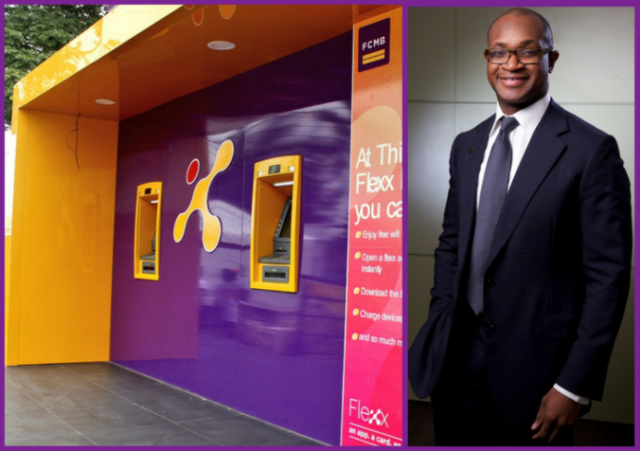 FCMB UK is only contributing gross earnings of N500 million to the group’s portfolio, while it is growing rapidly, it still a small stake and its re-focus to a retail business might further slow down its growth in the short term. The bank’s prime target for its proposed retail business would Nigerians in the UK and perhaps rest of the Eurozone who are looking at making remittances and opening diaspora accounts. FBN Holdings‘ FBN UK owned by Nigeria’s second-largest bank by asset base already has a full-fledged retail business in the UK. To redirect its focus to retail banking, FCMB said it is slowing down on expanding its loan books, a decision that was taking as far back as early 2017 when the bank’s books were battered by a huge performing loan portfolio handed to oil companies. “We’ve decided to slow down right now on asset growth and focus more on changing the mix of the asset and getting out some of the low margin upstream oil and gas business,” he said. FCMB’s non-performing loans are also exposed to other non-oil sectors. The bank is one of the more than 1p0 local lenders who is owed about $1.2 billion by 9mobile (formerly called Etisalat Nigeria). According to its latest disclosure, it has already booked N2.3 billion impairments on its share of the loan. 9mobile has just being sold to Teleology Holdings for $500 million, an acquisition that generated much furore due to its complex ownership structure and regulatory oversight from the National Communications Commission, NCC. FCMB was rumoured to be contemplating a Eurobond sale. However, there are indications that the bank would not take this route should the Naira further depreciate against the US dollar in the medium term.